American and European Oak Casks seasoned with Sherry, as well as American Oak Casks seasoned with Bourbon. Sweet opening notes of vanilla, toffee and malted barley, followed by dried apricots, nectarines and sultanas. Smooth with a whiff of alcohol in the back, nicely balanced with oak spice, white pepper and a touch of marzipan. Initially sweet and fruity on the palate with dried apricots, oranges and subtle raisins. 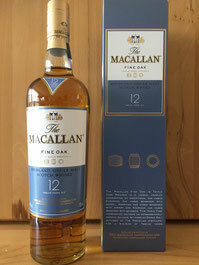 Pleasant notes of vanilla and sherry emerge, before an impressive spiciness of oak, white pepper and ginger takes over. Very warming indeed. Malted barley and creamy honey linger towards the finish. The finish shows medium length with a sweet and fruity mix of vanilla, toffee, raisins, and milk chocolate. This is followed by a slightly warming and dry spiciness of oak, ginger and white pepper on the tail. Fresh on the nose with a few drops of water. There's more fruit coming through with oranges, nectarines, apricots and subtle lemons. Still sweet with vanilla, toffee and malted barley, while the spiciness is noticeably tamed. Again lingering fruity notes on the palate with lemons, oranges, apricots and nectarines. Pleasantly creamy with vanilla, toffee and sultanas, while the warming spiciness is slightly pushed in the background. Smooth and creamy with a medium long finish. Vanilla, raisins and slightly dry oak on the tail. Very savoury! A tasty dram! Rich, smooth and nicely balanced with an attractive fruitiness, pleasant sweetness and surprisingly warming spiciness. Good interplay of the American and European oak-derived flavours. What surprises me most is the fact that a drop water or two brings out more of the pleasant fruity flavours, while the good balance of sweet and spicy elements is still present. Another positive 'aha moment' to me. I thank Sietse Offringa and Beam Suntory Germany for the generous sample!